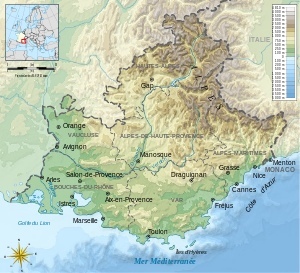 Province is a geographic region and historical province n the south east of France defined by the Rhone River valley on the west, the Italian border on the east and the Mediterranean Sea on the south. the Romans made the area the first Roman province beyond the Alps and while it has been a part of France for more than five hundred years, it still retains a distinct cultural and linguistic character. There are many Roman ruins still in place in the region. The Roman amphitheater in Arles measures 136 M (466 ft) in length and 109 m (358 ft) in width, and features 120 arches. it has an oval arena surrounded by terraces, arcades on two levels (60 in all), bleachers, a system of galleries and staircases for quick exit from the crowds. It was inspired by the Colosseum in Rome.The amphitheatre was not expected to receive 25,000 spectators, the architect was therefore forced to reduce the size and replace the dual system of galleries outside the Colosseum by a single annular gallery. This difference is explained by the conformation of the land. This “temple” of the games housed gladiators and hunting scenes for more than four centuries. In 1309, Pope Clement V, who was originally from Bordeaux, moved the Roman Catholic Papacy to Avignon. 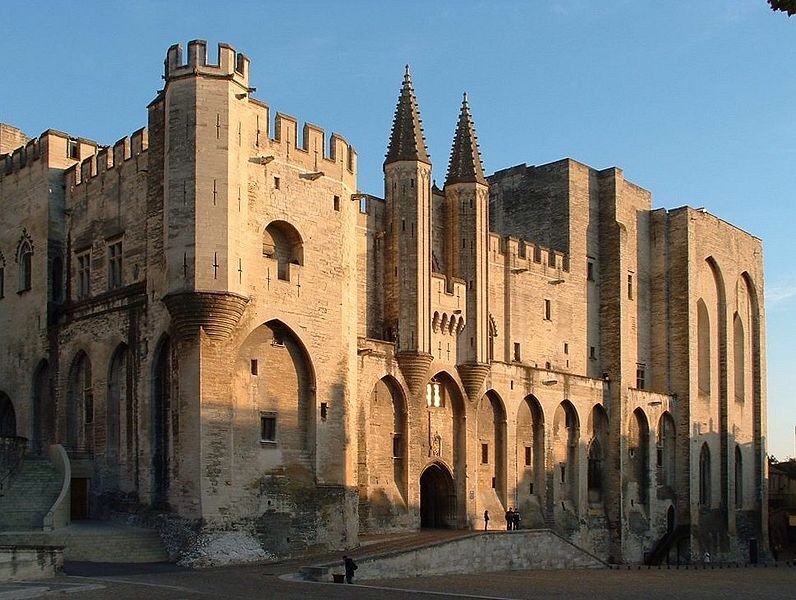 From 1309 until 1377, seven Popes reigned in Avignon before the Schism between the Roman and Avignon churches, which led to the creation of rival popes in both places. After that three Antipopes reigned in Avignon until 1423, when the Papacy finally returned to Rome.